When the busy season kicks in, your seasonal staff members need to be ready to start moving. Busy season is not the time to be dealing with Human Resources because we all know how time-consuming it can be to hire, train and motivate seasonal staff. However, there are ways to source and hire seasonal staff with less effort. Below are some tips on how to develop a productive and efficient seasonal workforce. The best time to hire is before anyone else starts their "Help Wanted" advertising. Beginning a hiring campaign even a week or two ahead of schedule will give your company the edge on the competition. Look for channels that inherently include candidates suited to your seasonal work, such as college campuses. Other ideas include Craigslist, local churches, VFW offices, or your local school district. Compared to traditional staffing agencies, this can be less expensive and drive better results. Be smart about when and where you hire to save money in the long term. If you have a “Super Star” staff member, ask them for referrals. They may have a younger brother or best friend that shares the same work ethic. Asking current staff for referrals is one of the best ways to find new seasonal staff. A simple referral bonus is less expensive than many other forms of "Help Wanted" advertising and can generate better options for hiring. Put together a training schedule and commit to it. Take at least one hour a week for training, year-round. Ease new staff members into their full-time position slowly, taking extra time for in-depth training versus quickly adding them to full-time status. Create a “Buddy Program” which pairs up your most experienced staff members with new additions to the team. Everyone remembers how awkward and uncomfortable it can be to be the “new guy”. Promoting a team atmosphere quickly will make everything run more smoothly because success depends on staff teamwork. A “Kickoff” meeting that includes new and returning staff can really help foster the team atmosphere. Be welcoming and encourage returning staff members to do the same. Fun, simple contests and ice-breaker games can promote a team atmosphere. The more quickly new team members feel comfortable - the sooner your team will produce efficient results. It is best for everyone involved to set the expectations. There are two ways to ensure everyone is on the same page. First, make sure your job descriptions are well written, updated and correct. Don’t make assumptions new hires will just “get” what they are being hired to do. Second, document your company’s behavior standards, customer service expectations, weekend work requirements, uniform needs, and length of tenure, so new hires fully understand what they are getting into. Go over this at the interview stage and when a job offer is made. Depending on seasonality, performance, and personal work ethics, staff members may have different expectations of how long they will be working for your company. It is important to balance the needs of your new employee and those of your company. Be upfront about the reality of their job tenure, when they might be called back to work after the slow season, and what they can do to increase the length of time they are employed by your company. We hope you find these hiring tips helpful to find, train, and engage your seasonal staff. 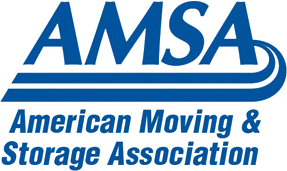 The seasonality of the moving industry makes hiring challenging. But there are ways to use marketing to overcome the seasonality of our business. Read about how MovingLeads.com can help you with automated marketing in this recent blog post.